Expected, postponed, rescheduled again and then finally released, comes as quite a happy ending even here in Italy the manga Elfen Lied. The title does not help much in understanding of a work that is definitely unique to the elements that compose it, beside a plot perhaps a bit easy. Announced at Romics of 2011 (so about a year ago) I have finally in my hands one of the most unique stories I've ever come across since I started reading the manga. Elfen Lied tells the story of Lucy, a Diclonius, who manages to escape from a secret base in which she is segregated and she is taken in by Kota and his cousin Yuka at the prefecture of Kanagawa. During the escape Lucy is injured and loses his memory. When he wakes up and find the beach is not able to utter a word and shows an entirely different personality. In fact, Lucy is actually an evolved human being who has suffered a mutation. The signs are two horns sprouting from his head like a pair of cat ears and two invisible arms called vectors, capable of killing and dismembering a human in a few minutes. Thus began the hunt for Lucy, called Nyu by Kota, the only word that can pronounce when taken in amnesia. This manga is really special and if it were not for some explicit and brutal scenes of violence I suggest to read at least the first volume. It is a genre that could be called "hybrid". On the one hand, we have in fact the classical school comedy where we follow the normal life of Kota, Yuka and Nyu struggling with rhythms and difficulties of everyday route. On the other hand the ruthless hunt for Lucy, who was tortured, raped and locked up since her inception for the simple reason of being born a Diclonius so she kills without mercy all those who threaten it. Among revenge, crazy characters and sadists and the sweetness of family life, the story takes a dark colors and solar performance that make intriguing, dramatic and often very moving. Some turn of the plot then make the story more compelling and exciting during the 12 volumes of the series. 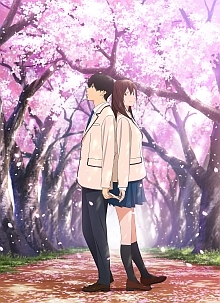 The director of the series Elfen Lied revealed in an interview thatthe main theme debated is the evolution and friction that can arise between two different species. In the history are criticised the ways in which people are divided between them according to criteria such as social class or race doing the work indirectly become an interesting treatise of sociology. Other attractions sure will please fans adding additional elements to the work. In fact the events take place in the town of Kamakura where throughout the series are faithfully reproduced several places such as beaches and deck boon for fans of hunting location. 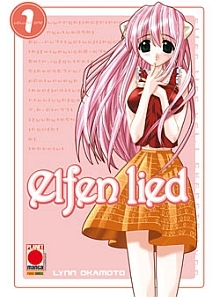 Elfen Lied also has no meaning in the title that links to the story as simply means "The Song of the Elves" and is a nineteenth-century German poem written by the poet Eduard Mörike, quoted in different parts of the manga. 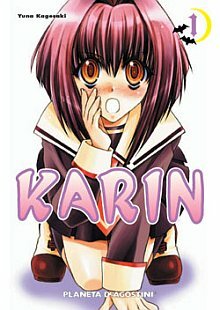 The editorial publications in Italy has followed a very complicated process, probably caused by the difficulty of the Planet Manga in finding the right solution to offer this seinen (because in the end it is definitely a series for adult audiences) given the strong contenutie lack of understanding national regarding certain materials from Japan. 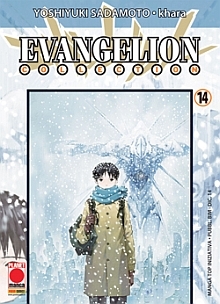 To conclude I would really recommend buying or reading to all those who are able to appreciate manga a bit rought, remembering of course that you can find an anime version made in 2004, perhaps even more impressive because the splatter elements in the series have improved thanks to visual animation. For this anime series unfortunately there is still no publication in Italian language, I hope that with the projection of the manga some editors might think to buy it. By the way I'm confident it will be a reading you will not forget easy!